G:loot, the Swedish company most well known for PUBG league “Global Loot League” has today secured 10 million euros (£8.86m) in new capital as they aim to continue expansion. G:loot’s core activities include allowing peer to peer wagering in a number of different titles across mobile, tablet and PC. However, the company is arguably best known for the Global Loot League (“GLL”) which operates in fledgling esport PlayerUnknown’s Battlegrounds. Patrik Nydbladh, CEO and Founder of G:loot commented: “We are very pleased that G:loot have now obtained heavy investors and capital in the Nordic region’s largest investment in esports so far. There was a tremendous interest from investors. In fact, we couldn’t offer everyone interested to participate”. “The ambition is to become a natural part of the esports and gaming community. We want to expand the platform to more tournaments, more games and most importantly, to more players around the world. A large part of the investment will go to marketing, but also to the recruitment of more skilled employees to the company” stated Simon Sundén, Vice President and Head of Esports. In previous rounds of funding, notable Swedish sports personalities had contributed to rounds of investment. Andreas Granqvist, the Swedish football captain is one notable name as well as Robin Soderling the tennis player and Martin Dahlin, a now retired footall player. Swedbank Robur are one of the new investors, and Carl Armfeldt, Portfolio Manager commented: “G:loot is an exciting company with an extremely scalable product. 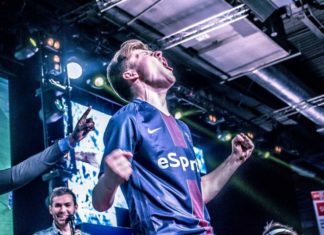 We believe that G:loot has great potential to develop into one of the largest players in the in the esports scene. Our belief is that esports will grow and become one of the largest interactive entertainment formats in the future. We already see very high fan engagement while the industry is still in its infancy”. Esports Insider says: Good news for the GLL as PUBG looks to have a big year in the esports world. It’ll be interesting to see how the company use this latest round of funding, and whether we see more premium PUBG tournaments showing up now.